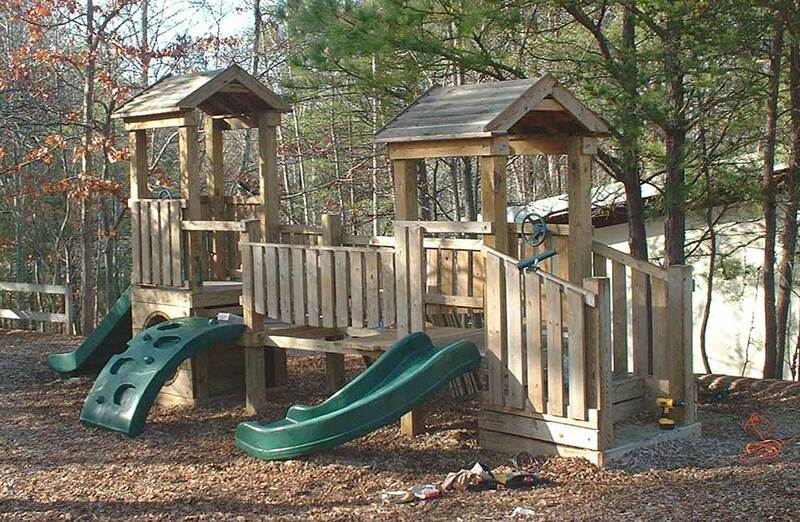 Playgrounds for Schools and Campgrounds. 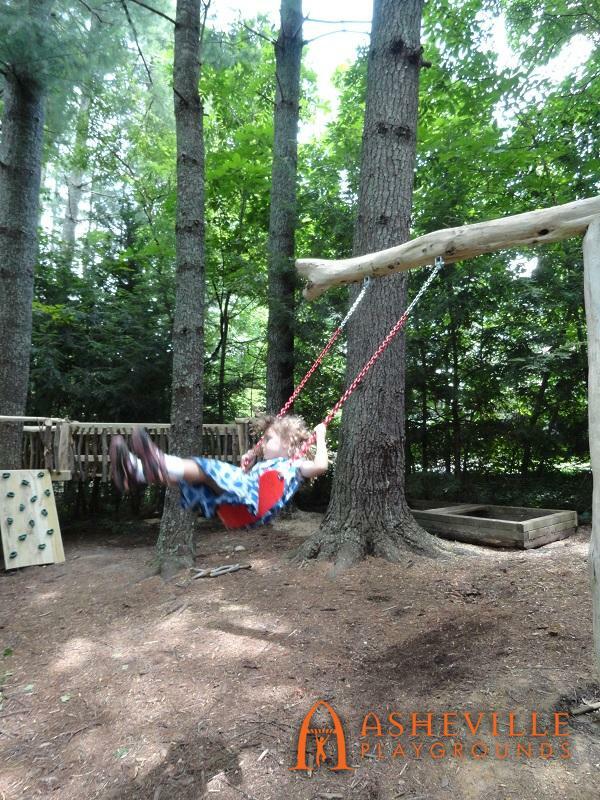 A break from learning or some fun surrounded by nature. 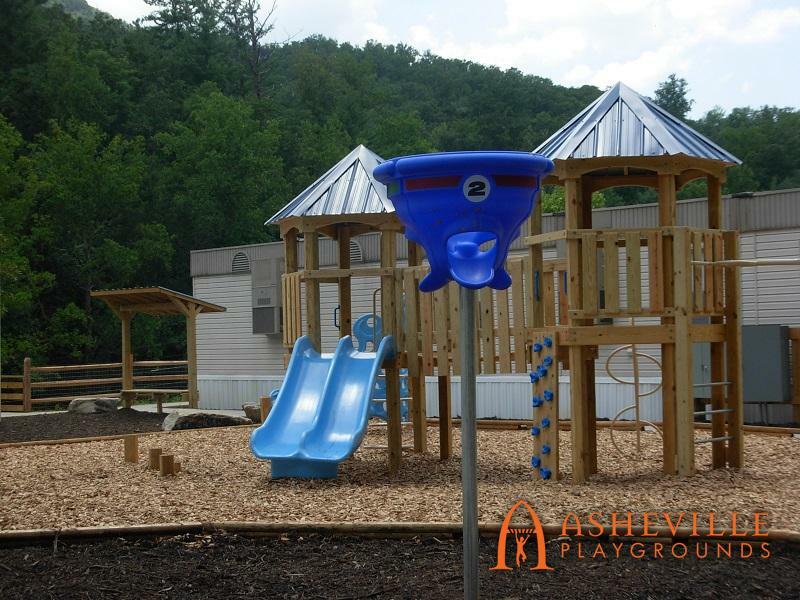 At Asheville Playgrounds we know that schools and campgrounds often have limited budgets and big dreams. 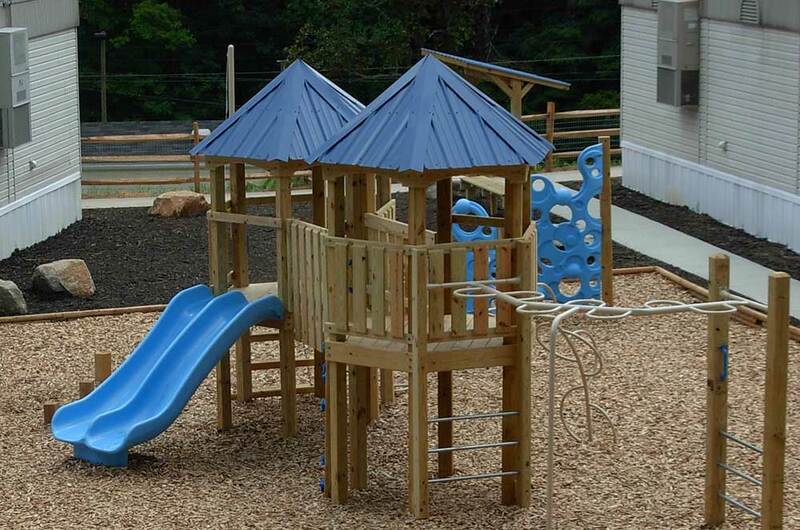 We find that Montessori, Waldorf and Charter schools are often drawn to our reasonably priced and creative play spaces. 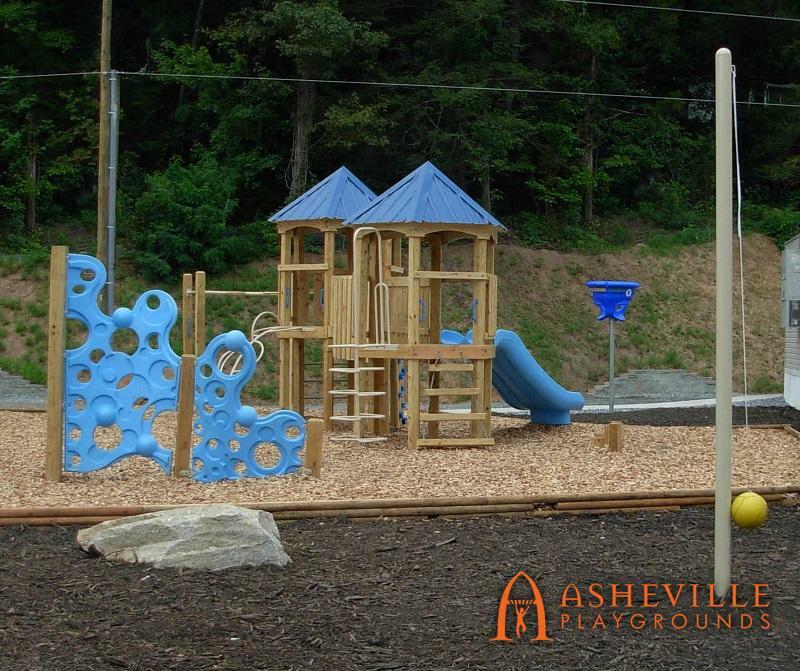 Play is a crucial part of child development and at Asheville Playgrounds that’s one of our primary visions. 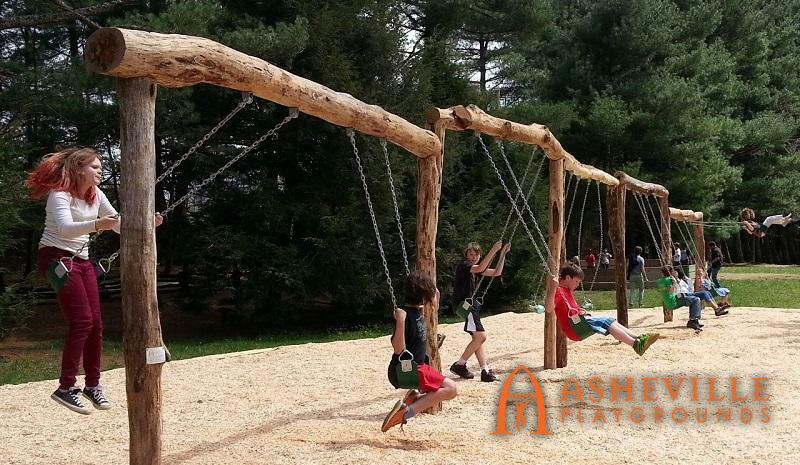 Being able to burn off some energy in the middle of the day is extremely important and free-form play is great for the mind. 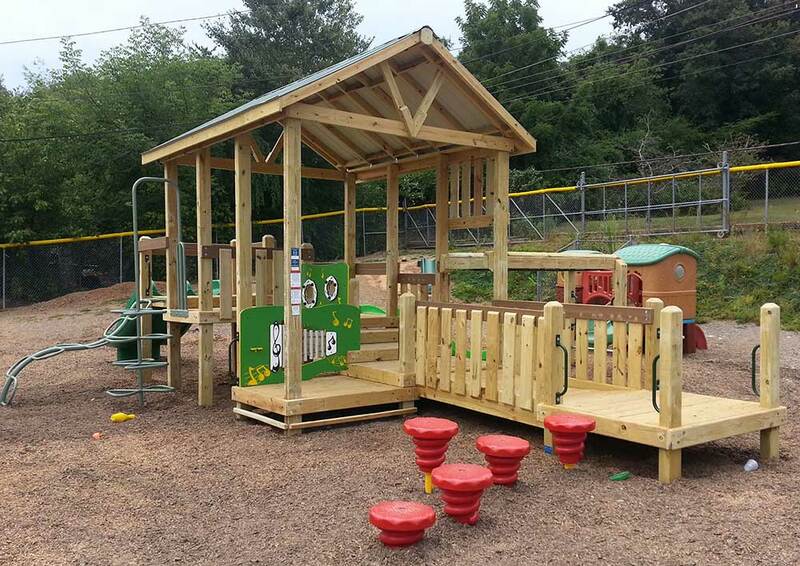 By using wood and natural materials, we are able to reduce costs for tight school budgets and build within the footprint of your choosing. 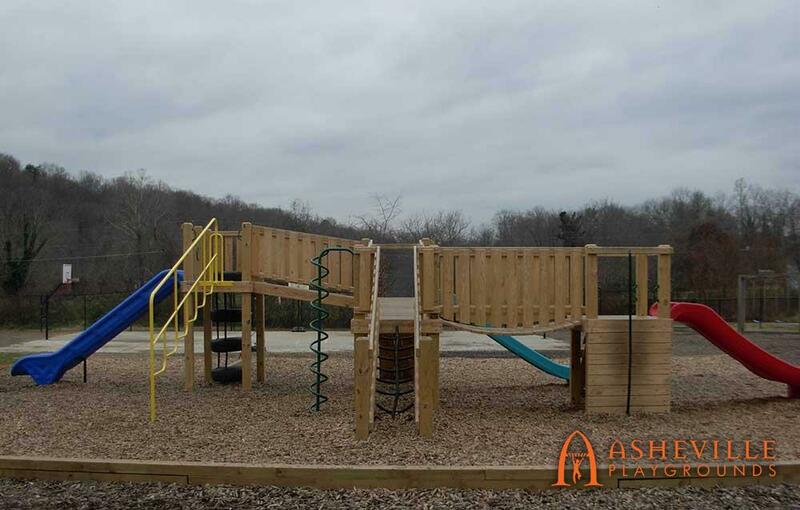 Our mission is to maximize play per square foot as well as adhering to strict safety guidelines. In addition to schools, camps and campgrounds are great locations for a natural playground, and a fun, compact design with lots of slides and climbers. 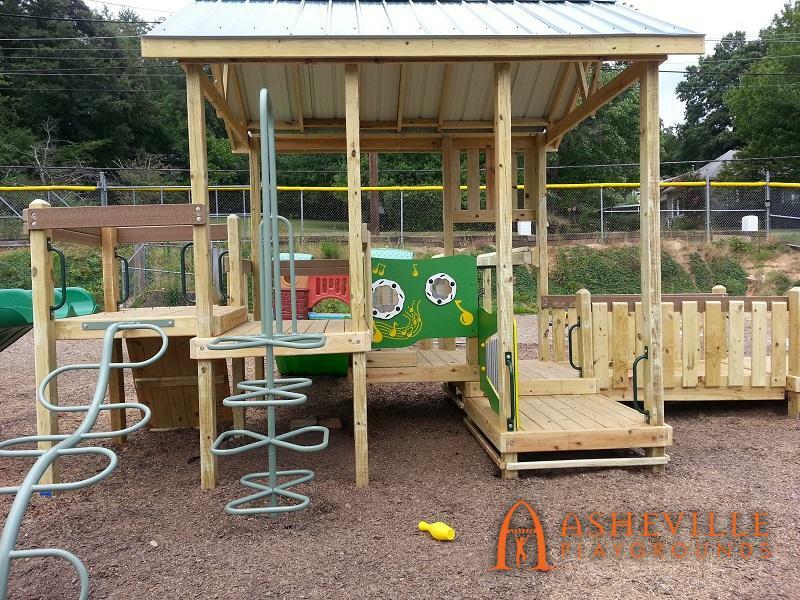 If you are looking for an alternative to a “straight out of the catalog, no changes allowed” mindset, contact Asheville Playgrounds. 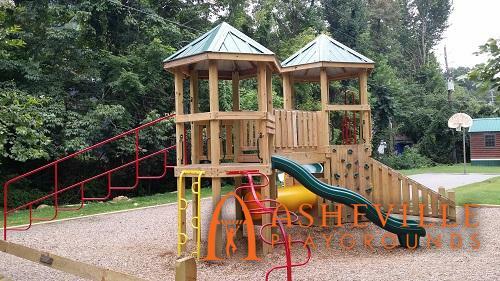 We will coordinate with you to fulfill your needs and stay within budget every step of the way. 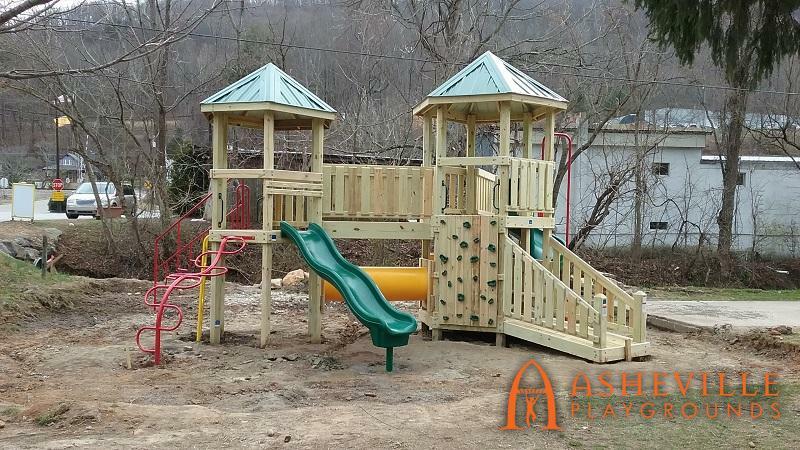 In 2011 the owners of the KOA campground in Swannanoa, North Carolina walked into our showroom to inquire about the cost for a playground. 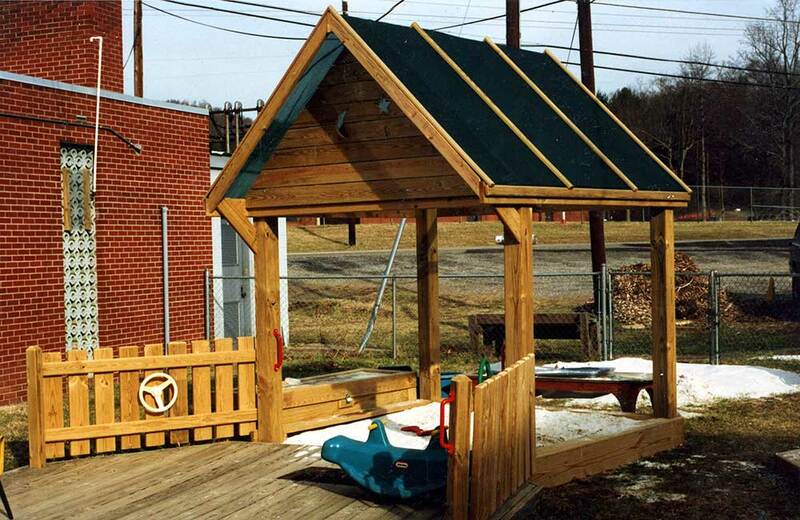 We talked, they left, and 6 years later they came back to us with a realistic budget. 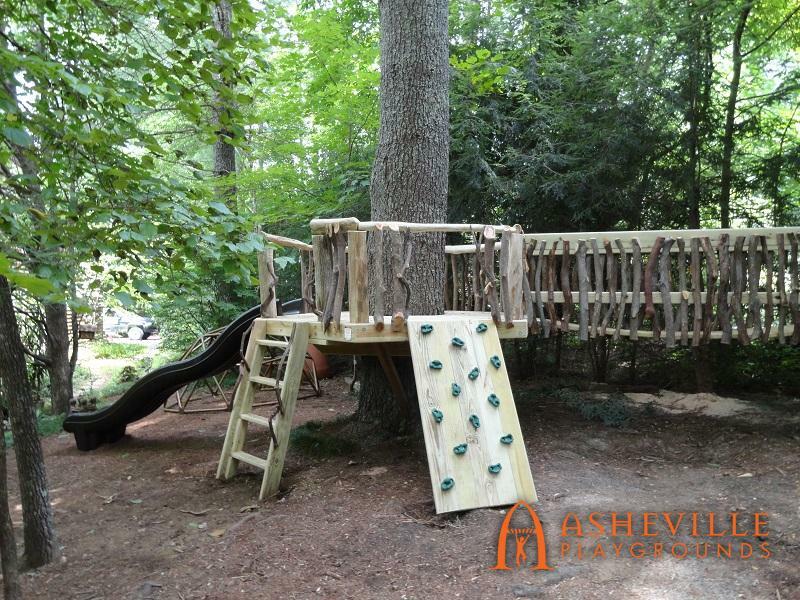 This KOA is one of the biggest and most popular campgrounds around located between popular Asheville and trendy Black Mountain, NC. 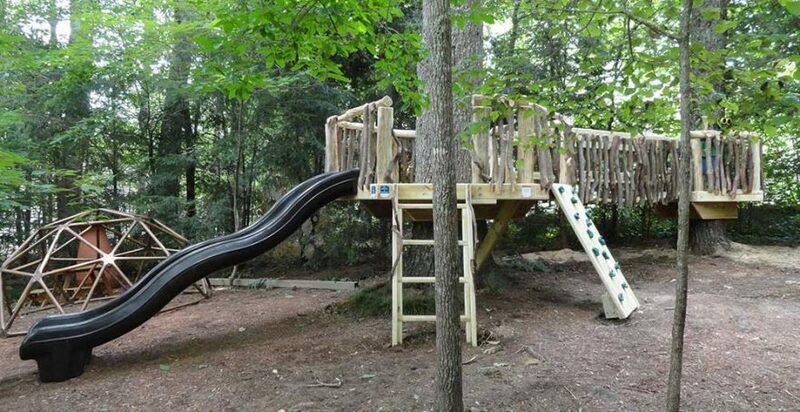 Travelers from all over the world stay there, and of course they bring their kids! 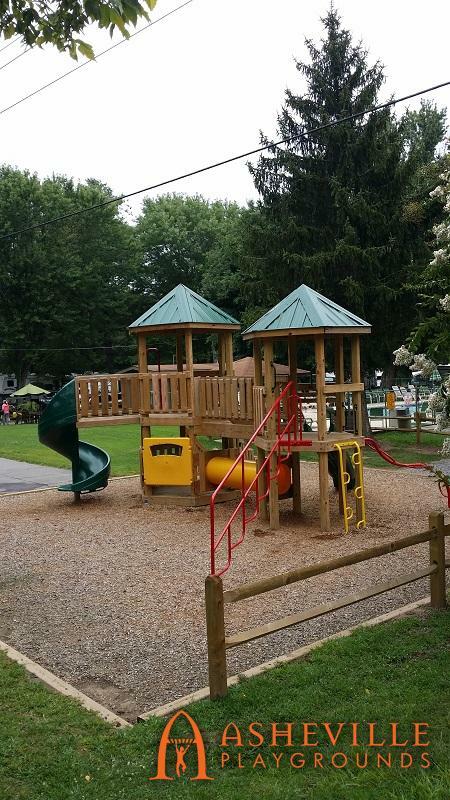 The KOA wanted some references and looked at every local playground on the list we gave them. 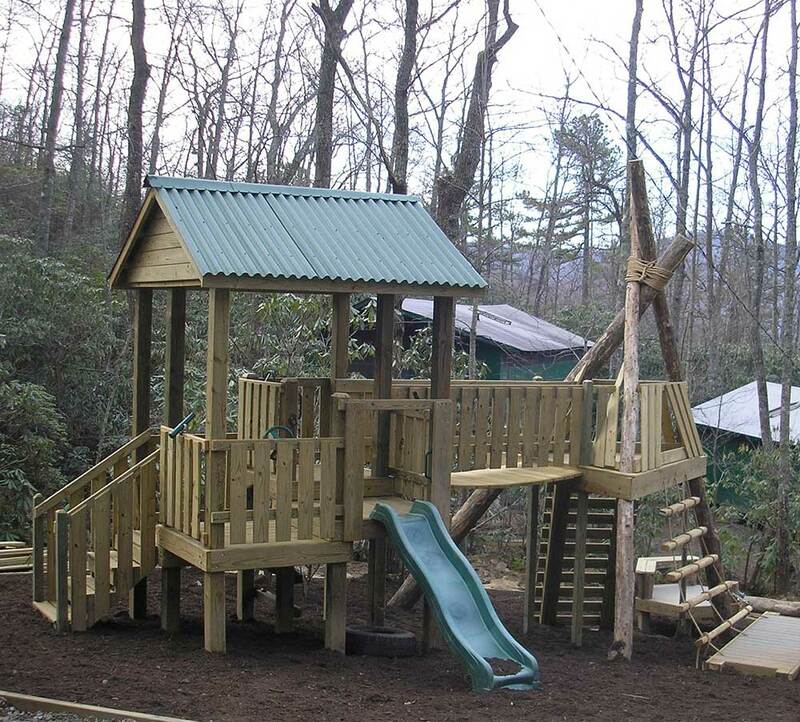 From that they chose a one of our oldest and most popular designs which packs a lot of features in a tight space. 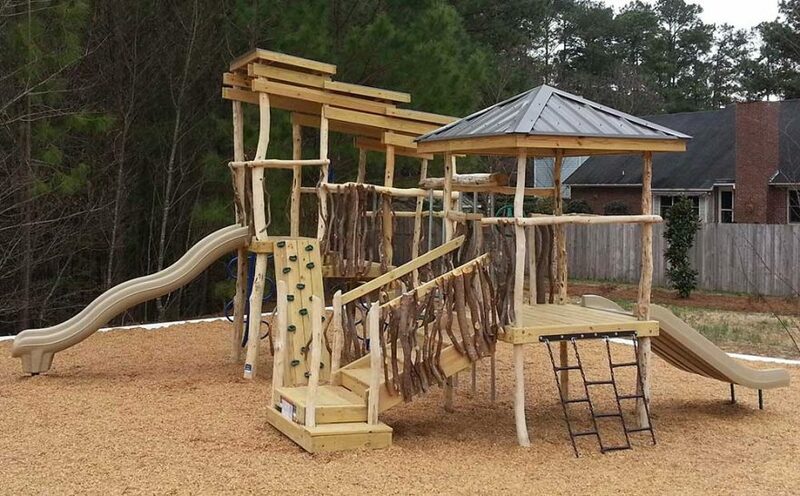 With two slides, two decks with roofs connected via suspension bridge, lots of climbers, and an ADA ramp to the lower level with play panel, this playground has something for every child. 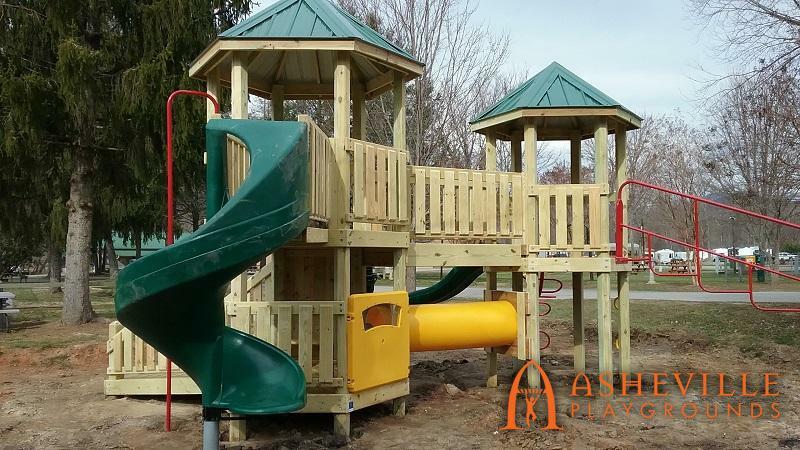 It is designed to maximize the amount of play in a small area by building everything off of the main structures and utilizing both lateral and vertical space. 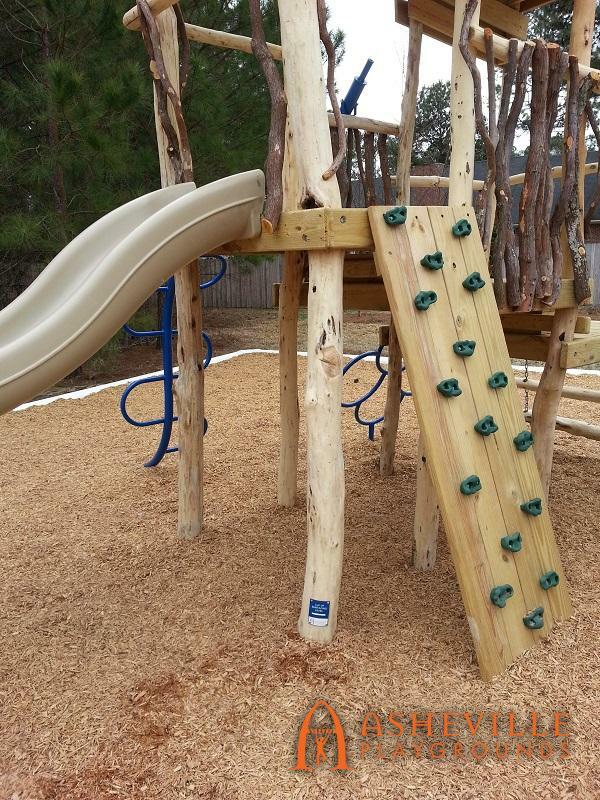 The KOA was very pleased and now many kids enjoy this playground all throughout the year! 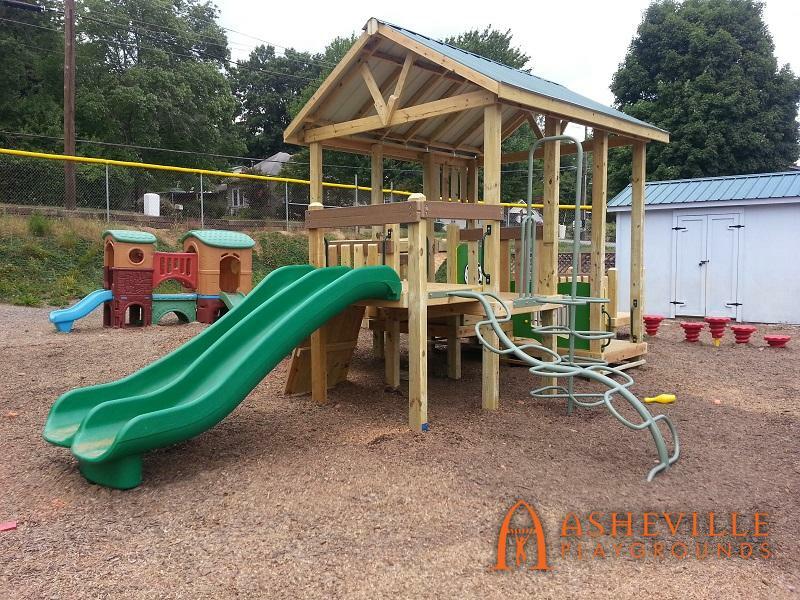 If you’re part of a school or campground organization in the Asheville area, our designers can perform a complimentary on-site evaluation. 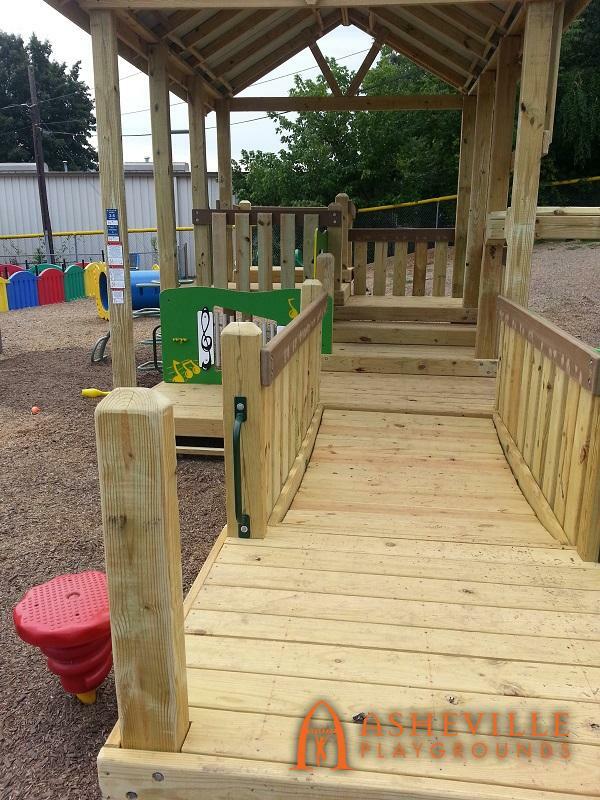 Farther out? 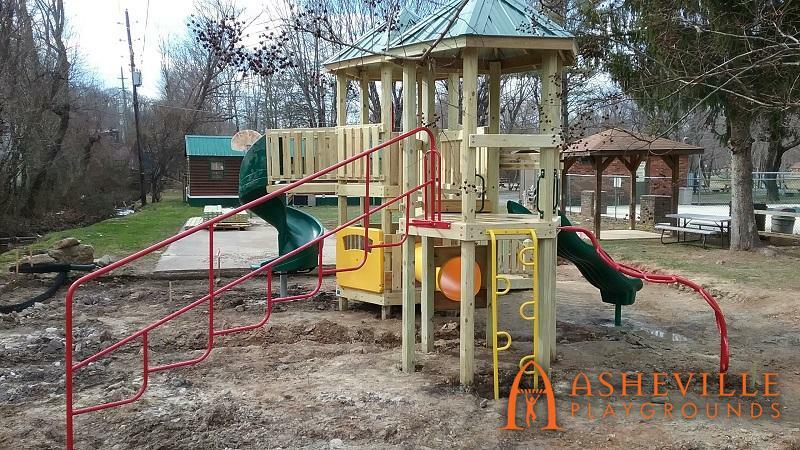 We’re happy to handle the conceptual and design work via phone, e-mail and photos. 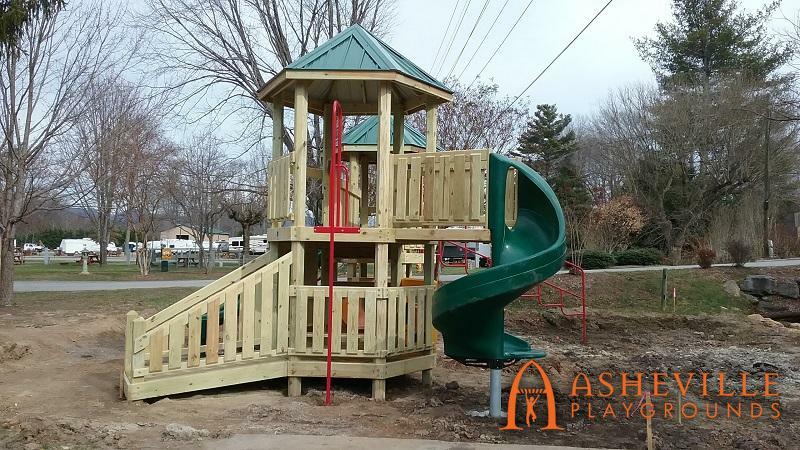 See our gallery below, and then contact us to see how our playground can fit in your site!